Product Institute is an online school for Product Managers looking to level up their skills. We’re featuring some of our recent graduates and asking them to share their experiences, both in the field and in our class. 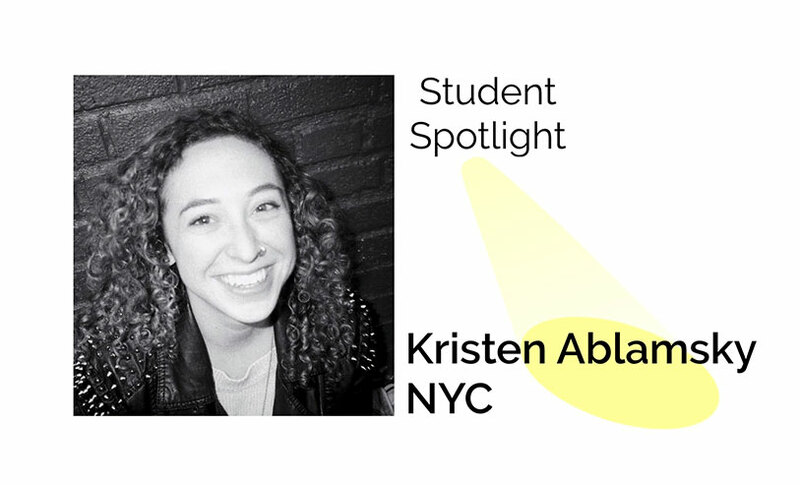 Our next student is Kristen Ablamsky, a co-founder of a very new, very exciting startup. With a background in social and digital strategy, Kristen is new to Product Management and looked to Product Institute as a core resource for learning on the job. Can you tell our readers about your current role, and how you got into Product Management? I'm the co-founder of an early stage startup called Start Hatching that helps nonprofits and social impact organizations find high quality freelancers who are passionate about their cause. Soon into my adventures in company starting, it became VERY clear that we needed someone to focus on not just our business strategy, but our people strategy. Someone to answer, "what do our customers need and how do we keep building a better solution?" The videos are incredibly engaging, and the downloadable takeaways are priceless. I tap into my "Product Institute" folder every time I'm searching for a better way to find new answers. The Slack channel helped to apply these class materials to the real day-to-day, and to connect with others in the PM field- if you're in NYC, we've got a routine meet up and you're more than welcome to join us! I've learned that making good decisions in product management comes down to your ability to look at the facts with a fresh point of view. This means knowing how to collaborate with your team to identify user truths. There's no one way to do that, more like one million ways, and you just need to find what works for you and your team. Knowing that every product roadmap is paved with lots of unkown unknowns that will completely twist up potentially ALL pre-existing notions of what will solve for your customer's needs is frankly...frightening. But it's also what makes product management so. much. fun. How can we, as Product Managers, get better and better at identifying, listening, and creating based on new truths? Product management uses logic and reason to fuel creativity. It requires a knowledge of people, and not just the willingness to collaborate, but the desire to. And all of it is damn right challenging. For me, it doesn't get much better than that. If you’re interested in learning more about Product Institute, you can visit our site for a full curriculum outline, an introduction to our Product Management coaches, and answers to FAQs. Enrollment for online classes is open!